The election is no longer the only thing Donald Trump is calling “rigged”—he’s coming for the polls, too. Trump, who for the longest time refused to acknowledge polls in which he was not ahead, acknowledged that he’s losing in some polls—but said there’s “tremendous dishonesty” in the polls these days. 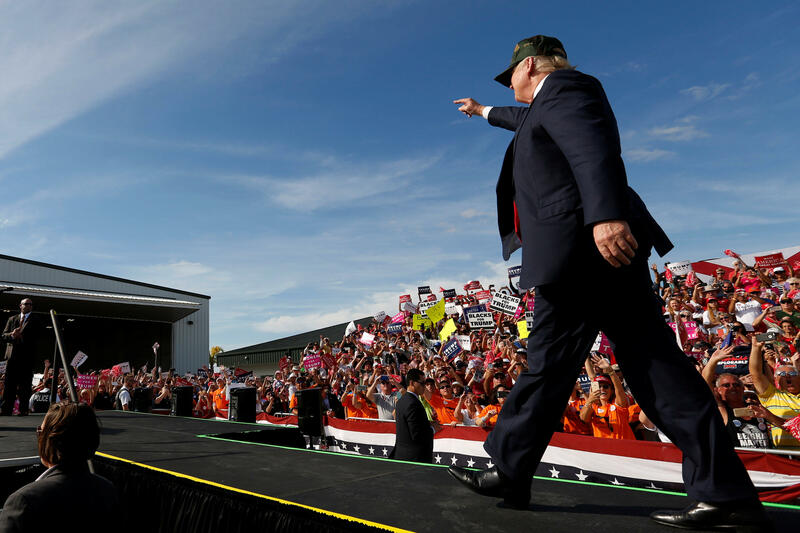 The GOP nominee has trailed Democratic nominee Hillary Clinton in nearly every recent national poll, including a CBS News poll released in mid-October that found Clinton leading by 9 points. Are the polls missing a group of Trump voters? The polls aren’t the only thing Trump insisted are rigged in the Thursday interview. Asked to explain why he has railed on the integrity of the American election system, he pointed to media bias and the FBI’s decision not to pursue charges against Clinton over her private email server. As for First Lady Michelle Obama’s claim that Trump is trying to get voters to stay home on Election Day, Trump accused President Obama of joking about a “rigged” system in 2008.